(CNN) -- Air quality in most cities that monitor their pollution levels exceed what the World Health Organization deems as safe. Delhi has the highest level of the airborne particulate matter, PM2.5 considered most harmful to health, with 153 micrograms. Not far behind is another Indian city, Patna with 149 micrograms. These figures are six times what the WHO considers a "safe" limit -- which is 25 micrograms. 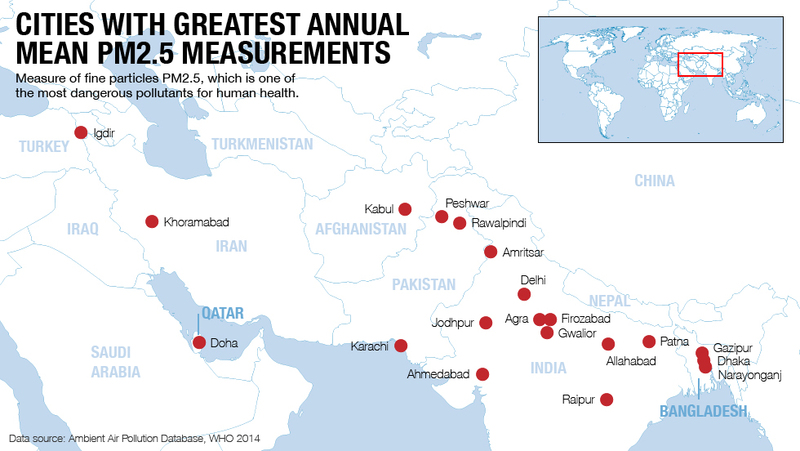 PM2.5 refers to the diameter measured in microns of particulates such as ammonia, carbon, nitrates and sulfate -- which are small enough to pass into the bloodstream and cause diseases such as emphysema and cancer. No Chinese cities ranked in the top 20 most polluted cities, despite thick, gray smog filling its cities and millions of residents commuting behind surgical masks. 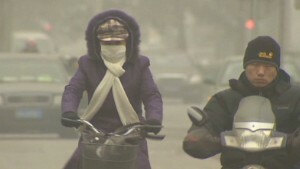 Beijing reported 56 micrograms of PM2.5. 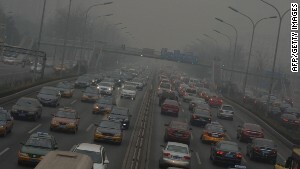 This year, Chinese leaders have declared "war on pollution." Delhi has been described as having weak enforcement of pollution controls by India's Center for Science and Environment, a public interest group. "Originally designed as compact entities to reduce the length of travel ... (Indian cities) are becoming victims of killer pollution, congestion ... and a crippling car-dependent infrastructure," according to the group. Air pollution has spread by increasing reliance on fossil fuels, coal-fired power plants, cars and the use of biomass for cooking and heating. 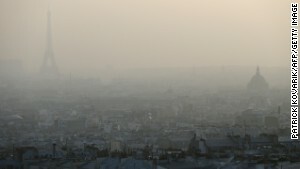 Cities with the lowest level of pollution were located in Canada, the United States, Finland, Iceland and Sweden.